An Afghan television station has returned to air just hours after an attack by militants left at least one staff member dead. 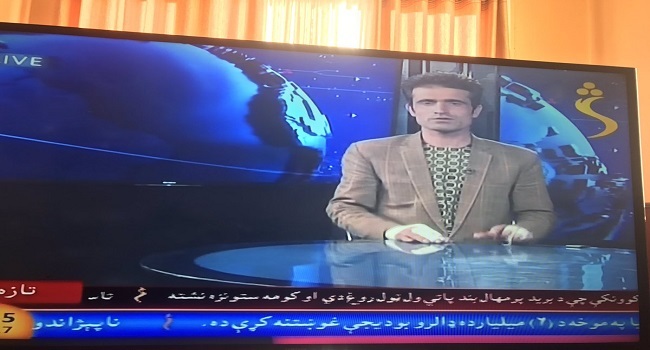 Gunmen disguised as police officers stormed the Shamshad TV building in the Afghan capital Kabul. So-called Islamic State later said it was behind the attack. But soon after Afghan security forces brought the raid under control, a Shamshad anchor was back on the channel, reporting on the assault. At least three attackers were involved, armed with guns and grenades. The station said one blew himself up at the entrance gate while another went up to the roof to fire at security forces. Staff were trapped inside, with some jumping out of windows and others escaping through a neighbouring building. Normal programmes were replaced with a still image. Special forces had to blast their way through a wall protecting the station to enter.